GRP78, a molecular chaperone at the endoplasmic§reticulum (ER), is highly elevated in malignant§tumors and correlates with severe pathological grade§and poor prognosis. GRP78 affects apoptosis by§regulating ER Ca2+ signaling and unfolded protein§response, but whether other mechanisms exist remains§unknown. Searching for novel partners interacting§with GRP78 at the ER, we discovered that BIK§selectively forms a complex with GRP78. 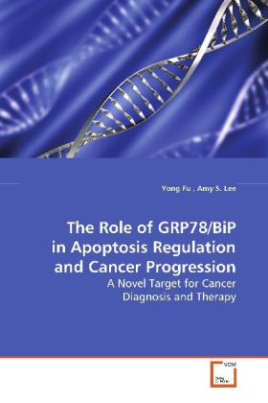 GRP78§overexpression decreases apoptosis induced by BIK.§For breast cancer cells that require BIK to mediate§estrogen starvation-induced apoptosis, GRP78§overexpression inhibits estrogen starvation-induced§BAX activation, mitochondrial permeability§transition, and consequent apoptosis. Further,§knockdown of endogenous GRP78 by siRNA sensitizes§those cells to estrogen starvation. This effect was§substantially reduced when BIK level was reduced by§siRNA. Additionally, an in vivo study in a Pten§conditional knockout mouse model of prostate cancer§reveals that homozygous deletion of Grp78 blocks§prostate cancer progression initiated by Pten§nullification. Our results provide evidences that§GRP78 is critical in apoptosis regulation and cancer§progression.